The LONGi 305W Mono AB Solar Panel LR6-60PB-305M is manufactured by the Chinese LONGi. LONGi has produced photovoltaic cells since 2007 and is the world leader in photovoltaic cell production. The LR6 lineup is an efficient monocrystalline 60-cell module, with excellent electrical and solid structural performance (5400 Pa snow load and 2400 Pa wind load). These modules feature black 40mm frames with black back sheets, MC4 connectors, and industry-standard -0/+5W sorting. 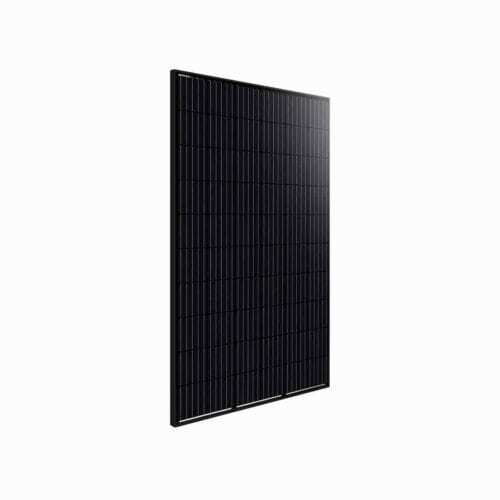 The LONGi 300W Mono AB Solar Panel LR6-60PB-300M has an aesthetic appearance with black frame and black backsheet, best suited for rooftop installations. With strong focus on R&D, production and sales & marketing of mono-crystalline silicon products, LONGi Solar is committed to providing the better LCOE solutions as well as promoting the worldwide adoption of mono-crystalline technology. Join our ZERO Home Bills Community. The best solar pv panels from the best solar energy brands at BEST Prices for ZERO Home Bills on ZEROhomebills.com by Solaranna.